ecofriendly Archives « Breastfeed.Babywear.ClothDiaper.Naturally! Breastfeed.Babywear.ClothDiaper.Naturally! There are a lot of plusses to cloth diapering (I know not everybody would agree with me there, but since you’re reading this blog, I think you might feel the same), but one of the best things that I’ve gotten from cloth diapering is how much I’ve learned about laundry. I’m young enough (barely) that Home EC was not a part of the curriculum during my school years, and old enough that my busy working mom wasn’t into home economics herself much, or at least not that she let on. Plus, modern washing machines and detergents kind of made laundry stupid proof, right? My skin is fairly sensitive, but I can tolerate most detergents, barring the most heavily scented ones. My oldest son, however, was not nearly so lucky. He didn’t have eczema or psoriasis or other more serious skin conditions, but more detergents than not gave him rashes from his clothing (and it was worse with his cloth diapers). In detergent land, there are two main camps; mainstream detergents, and eco-friendly detergents (plus soaps and soap nuts, not usually recommended for cloth diapers). Both mainstream detergents (like Tide, Dreft, etc) and eco-friendly ones (Ecover, Biokleen, etc) can be scented or “free and clear.” And of course further, come in either powdered or liquid formats (soap nuts obviously don’t fit in either camp). If you are lucky and have no skin sensitivities in the house, the world is your oyster. Wash with whatever you like (or like many of us, what your budget will allow). But if one or more in your house are sensitive, you will have to be careful (and it may take some trial and error to find the magic bullet). First, if you have sensitivities in the house, you can decide to wash everybody’s clothing together in the detergent you find works for the sensitive one(s), or you can wash separate, if costs or other factors come into play. When dealing with sensitive skin, I would start with avoiding heavy perfumes. For me, detergents like Gain break me out, but I can tolerate regular Tide and the like OK. My oldest broke out in hives from Tide, but the free and clear version was OK, and he could tolerate some lightly scented natural detergents as well. 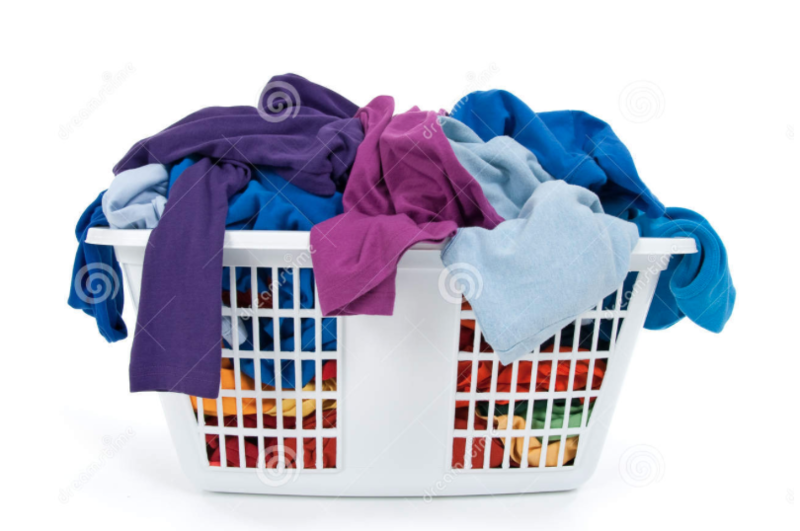 Fabric softeners are often a no-no with sensitive skin; they coat fibers so generally shouldn’t be used with diapers, towels or tech fabrics like workout clothes anyway. Some, like Ecover, are compatible with natural fibers and many sensitive skinned people, but there are often no fragrance-free options in the fabric softener world, so they may have to be avoided completely (try vinegar in the rinse cycle, like in a Downy ball), for your clothing if you’re missing fabric softeners, especially if you line dry). 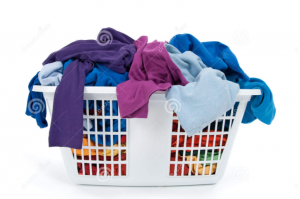 Outside of not breaking you out, your detergent also needs to get the family’s clothing, well, clean. How well different detergents will work for you will depend on many factors, one of which is likely familiar to any cloth diaper vets: water hardness. The harder your water, the more difficulties you may face, from just getting your clothing clean enough (very hard water can require using more detergent and/or a water softening additive like Calgon, which could also affect very sensitive skinned people), to even leaving iron stains on your clothing. Generally, if you have water on the hard side, you will be better served with a powdered detergent as they often have water-softening agents included in the formula. Another upside to powdered detergents is if you need to order your detergent by mail. Some markets have almost endless options, mainstream to eco to niche, boutique brands. Others … not so much. When you’re shipping liquids, you’re also shipping water, which is heavy (and therefore more costly). Powders can save you a bit of cash sometimes (and a bit of backache too) because of this. Finally, keep the tricks you learned from your cloth diapers handy when washing clothes for sensitive people handy … Shout may make your daughter’s skin itch, but putting her clothes on the line in the sun (with or without lemon) can remove often just as many (and sometimes more) stains, without adding any more chemicals into the washing machine. Natural fibers can be easier to get fully clean, with both diapers and clothing. And line drying will save you both wear-and-tear and money when/if you’re able. Meaghan Howard is a mom to three little dudes, a ton of (rapidly aging) pets, and a super sweaty husband. She also loves running and currently lives on a lesser surface of the sun; laundry has become a bit of a part-time job.